That was certainly squeeky bum time in the 2nd half. Our defence starting to look shaky and could have easily have let in more. After starting slowly in 1st half we had a purple patch going 4-0 up and looking like we would get 8 but credit to Alfreton who pulled 3 goals back. Leesley had a quiet game but Beck is really starting to perform. Salford starting to show nerves now i hope but still managed to pull 2 goals back in the last few mins as usual. We have a rest now till Boston away in 11 days time to sort the defence out. Alfreton attacked at pace and had at least 4 up front at times causing us huge problems to defend with 4 against 4. Plus Daniels is still a superb free kick taker. Think Alfreton will give some teams a good few problems hopefully against our nearest rivals. Really well played lads against a difficult Alfreton side. Very good partnerships developing - Beck and Knowles and McCoombe and Kitching. Was a very very tense evening. Unbeleivable game in many respects. We looked like we were going to run riot at one point. Then the total opposite in the 2nd half. We are coming to the business end of the season, and I think we’d better get ready for a roller coaster ride. I still say all the pressure is on them over the Pennines, but having said that, we looked very nervous the last half hour. 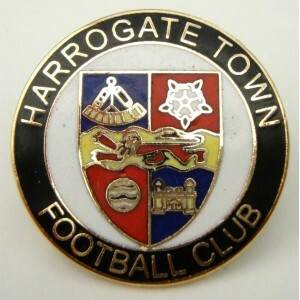 Keep going boys, your doing Harrogate proud, and once again I commend Simon and his backroom staff for putting together a very talented squad. Roll on a week on Saturday, Boston away.